Tess and I, many moons ago, started this blog because we felt that sadly, there was not much encouragement out there for women to be who they are in the world. 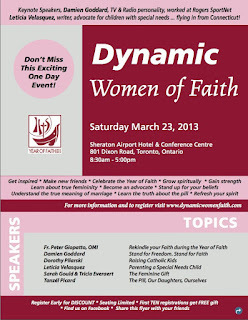 Well, a few weeks ago, we were asked to be who we are, and speak at the Dynamic Women of Faith Conference in Toronto, Ontario. But that didn't last very long. We're excited...and a little nervous...but we are both so totally stoked to be present to the women at this conference, to share our story and to speak to their hearts about how they are gifts to everyone around them! 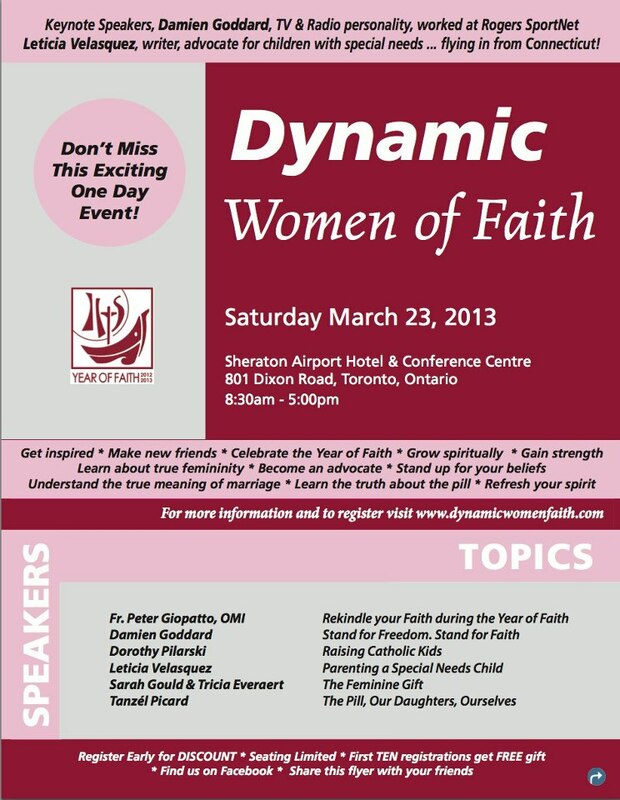 So if you live in the Toronto area or will be around on March 23rd, swing by the Sheraton Airport Hotel and Conference Centre on Dixon Road. Should be a fantastic time! Sorry Colin, Dynamic WOMEN of Faith. I would love to listen to your talk, Sarah! Looks like a great conference! I'm sure you'll be fantastic. Oh, how fantastic! My prayer starts right now.... and I will "watch this space" for an after conference report!